Ryan Sessegnon has been linked with the Reds multiple times in the last year or so, and the highly-rated Fulham youngster has admitted that he is a Liverpool fan. So high is the England youth international’s stock, The Mirror claimed last summer that Fulham valued him at £100 million after a season which saw him perform as well as anyone in the Championship at the age of 17. This season for the newly promoted Cottagers, he has registered five assists and has scored twice – even more impressive considering he is not 19 until May. 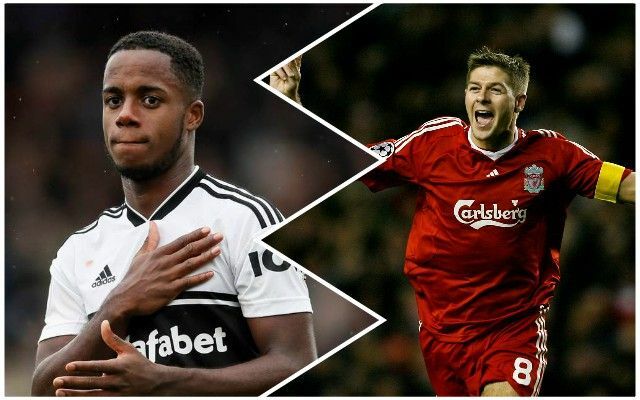 Sessegnon told BT Sport about his love of Liverpool and also Steven Gerrard. Sessegnon was also asked about which Liverpool shirt was his favourite over the years, picking out the 2008/09 strip. With Alberto Moreno’s contract up in the summer, and after the Spaniard’s comments on Jurgen Klopp in the last couple of weeks, the Reds might need another left-back soon. According to the Evening Standard, Sessegnon only has 18 months left on his contract, making a move even more likely in the coming months if he does not agree a new deal. Adam Lewis is highly thought of at the Academy, but Sessegnon could be another option, especially as he can play on the left-wing, too – it’s certainly a transfer that has a realistic chance of going through.